I've recently found myself, rather undeservedly, on a few lovely ladies "girl crush" lists and thought it might be fun to share with you some of my own crushes! I've created five categories of crushes: musical, theatrical, fictional, historical and 60s babes. The first is my forever favourite songbird, Kate Bush. One of the greatest presents I ever received was a VHS of her live performances, various videos and interviews (oh those days before wondrous youtube) that included this glorious interview of lovely Kate explaining her new vegetarian diet and this one explaining her song and video Babooshka. She is absolute perfection; creative, intelligent, beautiful and kind, what more could you ask for? Honorable mentions: Bjork, Beyonce, Nina Simone. 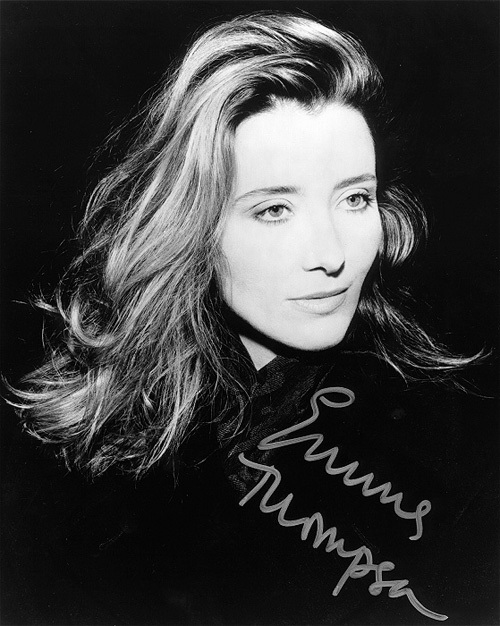 Dearest Emma Thompson, was it Much Ado About Nothing or Sense and Sensibility that turned my heart so for you? I do know that it was this Golden Globe acceptance speech in which you speak as Jane Austen that secured my affection for you. Honorable mentions: Kate Winslet, Cate Blanchett, Emmanuelle Beart. 60s Babes! This was a hard one to narrow down to just one lovely lady! Precious Hana Brejchová (as Andula in Loves of a Blonde) stole my heart immediately and continues to delight after repeat viewings. Her face is such a treat. Honorable mentions: Olivia Hussey, Jean Shrimpton, Anna Karina and this girl. This should come as no surprise to anybody that has read this blog. My love of this redheaded Heroine goes back to kindergarten when I implored fellow classmates to push me away to my watery demise as I lay on a set of wheeled milk-crates trying my best to recite Tennyson's poetry (no doubt just mumbling the recognizable words). I even had my teacher call me Anne and still treasure my report card addressed to "Anne McMillan". Anne is a character written with such affection that I dare you to not fall in love with this intelligent, imaginative, strong-willed girl. Honorable mentions: Jane Eyre, Sorsha from Willow, Ivy from The Village (most recent crush). (This list has suddenly become rather redhead-centric!) Elizabeth you fascinate me! You were strong when men would rather our kind be weak, you were eloquent and charming, shrewd and intelligent yet short tempered and indecisive. I would have liked very much to be a fly on your wall (and nothing more during those tumultuous times). Honorable mentions: Anne Boleyn, Lizzie Siddal, Frida Kahlo (there are more but the benadryl I took to calm my allergies has just now kicked in). Now your turn! Which lucky girl has captured your heart? Edited to add one final category, Blog crushes! Julia of A L'allure Garçonnière for always making me think. Tara of Stay Fancy Free for always making me smile. and Nicole of Fashion Forestry for always making me drool. Oh my gosh, you like Kate Bush? I just became an even huger fan of you. xD I don't know if I've ever found someone else that likes her. My parents are huge fans so I've been seeing and hearing her stuff since I was little. She's one of my favorite musicians. My blog is named after one of her songs. Kir - hehe yes! i learned of her from my parent's as well! there is nobody, NOBODY like her! she's the real deal - the complete package - isn't she? Hmm girl crushes. Anna Karina is tres sensational! My other girl crushes include: Jean Seberg, Brigitte Bardot, Virginia Woolf, Francoise Sagan and Joan Holloway. Quite sad that they are either not here with us anymore or just purely fictional. did yo hear Emma Thompson on Radio 4's Desert Island Discs a couple of weeks back? It was lovely to hear what tunes she would take with her and to hear a bit more about her life. I recently posted something about you being my girl crush, hannah! Oh, and hello! It's your old pal V from the Lady Evelyn and Glashan days. Been reading and enjoying your blog lately, and wanted to stop the silent stalking and say hi. also love pippi longstocking for being complitey mad. Vanessa: ahh, I'd be lying if I said you weren't one of my first girl crushes! It's so nice to hear from you! i agree with all of these girl crushes. holy mother of pearl. OMG girl crushes. I'd rather not get started on it. There are so many.....Salma Hayek, Rachel McAdams, Kate Winslet, Naomi Campbell, Agyness Deyn, Keiko Lynn and of course....you, Hannah! my all time FAVORITE kate bush song is "wuthering heights"...i don't think i've watched a music video more in my life than the one where kate is in a red dress dancing like a gypsy with the 70s smoke machine in the background. Oh I got very excited to see Kate at the top of the list! She is just SO lovely, kind, and talented. I just want to absorb myself in her deep and dreamy world. I love this post. Especially your piece on fictional characters. You should expand on it. GIRL CRUSHES! I LOVE GIRL CRUSHES! Oh I have so many, but some at the top of my list would be Keira Knightley, Jane Eyre, Melanie Laurent, Elizabeth Bennett, Shosanna Dreyfus, Audrey Hepburn, Edie Sedgwick, Zooey D, ohhh i could go on forever! 2/living in Richmond,London for a wee while,(1992)and our window washer also washed Kate Bush's windows;apparently she lived on Blackheath,just up the hill from us.I kept having fantasies that I would bump into her and invite her around for afternoon tea,but no luck! really i make you smile, you're too sweet to me! i have a girl crush on you! Oh dear, this is the most wonderful list of girl crushes! Kate Bush is wonderful. My favorite nighttime activity is singing Wuthering Heights while driving on prairie roads in my terrible Kate Bush imitation where I substitute gibberish for the actual lyrics. Right now my main girl crush is on Agnes Vardas and Leonora Carrington (who was friends with Frida Kahlo!) Ohh, and I shouldn't be shy and just tell you that you are one of my new girl crushes as well! Kate Bush is one of my great loves! I fell in love with her when I was twelve and I saw her performing Wuthering Heights. I was luck enough to meet her...briefly... at an album signing whenI was 16 many years ago. She was just stunning and I could barely speak! I still think she is the best. 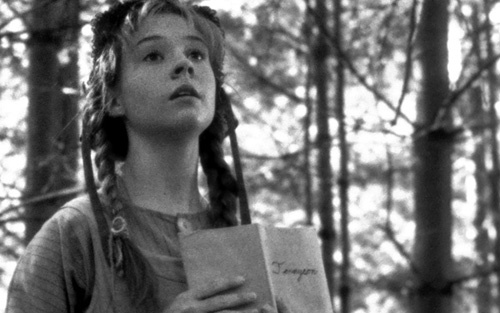 My most favorite girl crushes are the talented Sandy Denny of Fairport Convention, Lauren Ambrose and of course Anne of Green Gables!!! every time you mention loves of a blonde i comment to say, "I CAN'T BELIEVE SOMEONE ELSE LOVES THIS FILM!" but here i go again! loves of a blonde! yes! in the same vein i had a mad crush on marie 1 and marie 2 from sedmikrasky... when i watched it with my best friend years ago we kept on yelling "MAKE OUT!" at the screen like obnoxious drunk jocks at a frat house. i second most of your crushes, but would add: louise brooks, theda bara, vita sackville-west, penelope cruz (or most almodovar heroines, for that matter), simone de beauvoir, janelle monae, invincible, mirah, audrey horne, prisca pannone, omahrya mota, beth ditto, zadie smith... so many more. i am SUCH a sucker for girls with attitude. with men i am way more attracted to smiley or shy fellows, but women? man, you look at me like you don't need me? you got my attention. you bite your lip while looking me up and down? i am yours forever. What a great list! 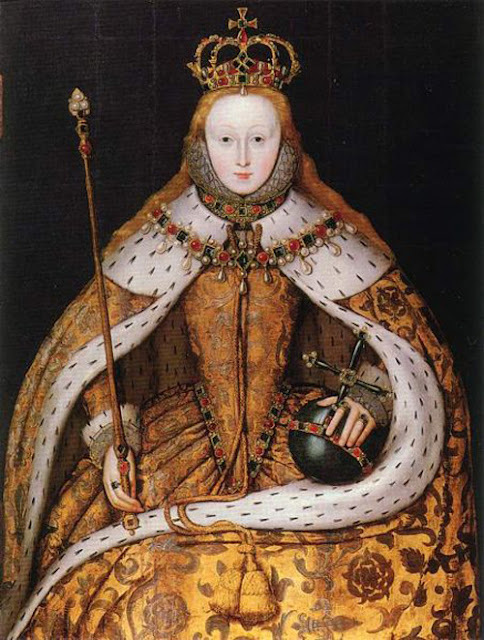 As a redhead myself, I love it when redheads top the lists of awesome women! Another to add would be Lucille Ball. She's smart, funny, ballsy and just amazing. Her humor will never fade. And, yeah, you're a girl crush of mine, bigtime. i absolutely love this blog, i'm following you right now! you know the feeling is mutual. Oh this is an amazing collection of images. I must admit, I fell in love with Kate Bush when I first watched the interview with her in which she describes Babooshka. I always hear her voice in my head explaining it whenever I listen to the song. ah, i love Hana Brejchová too- loves of a blonde...so sad. You forgot to mention Botticelli's Chloris, at "Primavera". She is the crushedest girl ever! I'm so excited that you love kate bush as much as me! I had a similar video back in the day! she's a bit of an acquired taste to the general population, you know. I love all of your other girl crushes as well! ohh what a fantastic list. i would love to hear (i mean read) a list of your favorite films! Loves Of A Blonde is wonderful! Andula is adorable and I was so suprised at how funny the film was. The 3 soldiers at the dance are hilariously awkward. Most of my girl crushes are redheads too (being one myself, i love looking at other gingers who embrace their copper tresses). You have chosen such interesting women! Hm, I actually don't come up with many girl crushes.. I really love Anne of Green Gables, and Emily of New Moon. I can't really make a choice between my favourite girl. Maybe I like Anne better, but there's something fascinating about Emily, too. She's somehow mysterious. It is also interesting to see Anne's daughter Rilla grow up, you find out that she's not just a shallow teen girl. If I think of actresses, I have to pick Carole Lombard. I love her! that verse always gives me shivers whenever i watch AOGG.